A citizen feels strongly about an issue in the community. He or she attends a city council meeting to voice those concerns. Unfortunately, the powers that be prohibit the citizen from addressing the controversial topic. Have the citizen’s First Amendment rights been violated? Such a scenario is not a product of a healthy imagination. It is a daily reality for countless citizens across the country. Sometimes government officials need to silence disruptive citizens or to prohibit endless repetition. However, other times the officials may be squelching citizen speech because they want to suppress the message. This article seeks to explain the legal parameters surrounding the regulation of citizen speech. Many government meetings are open to the public and reserve a “public comment” time for citizen commentary on issues. The 9th U.S. Circuit Court of Appeals explained in its 1990 decision White v. City of Norwalk: “Citizens have an enormous First Amendment interest in directing speech about public issues to those who govern their city.” These meetings, particularly the “public comment” period, are at the very least a limited public forum during which free-speech rights receive heightened protection. In First Amendment jurisprudence, government property that has by tradition or by government operation served as a place for public expression is called a traditional public forum or a limited public forum. In a traditional public forum, such as a public street, speech receives the most protection and the government generally must allow nearly all types of speech. Restrictions on speech based on content (called content-based restrictions) are presumptively unconstitutional in a traditional public forum. This means that the government can justify them only by showing that it has a compelling state interest in imposing them, and that it has done so in a very narrowly tailored way. At limited or designated public forums, however, the government designates certain types of subject matter. One court explained as follows: “After the government has created a designated public forum, setting boundaries on classes of speakers or topics, designated public fora are treated like traditional public fora.” This again means that content-based exclusions face a high constitutional hurdle. Even in nonpublic forums, restrictions on speech must be reasonable and viewpoint-neutral. Just because something is called a public forum doesn’t guarantee a person unfettered freedom to utter whatever is on his mind. Public bodies can limit their meetings to specified subject matters. Also, the government may impose reasonable time, place and manner restrictions on speech as long as those restrictions are content-neutral and are narrowly tailored to serve a significant government interest. In other words, the government could impose a 15-minute time limit on all participants as long as it did not selectively apply the rule to certain speakers. Council members would violate the First Amendment if they allowed speakers with whom they agreed to speak a full 15 minutes, but allowed speakers they did not agree with to speak for only five minutes. Unfortunately, many situations arise in which citizens are silenced because of the content of their speech or because they have disagreed previously with a government official. This raises the specter of censorship. Government officials may not silence speech because it criticizes them. They may not open a “public comment” period up to other topics and then carefully pick and choose which topics they want to hear. They may not even silence someone because they consider him a gadfly or a troublemaker. However, a higher court – the 4th U.S. Circuit Court of Appeals – questioned the reasoning of the federal district court decision in Bach. In Steinburg v. Chesterfield County Planning Commission, the 4th Circuit wrote: “We conclude that a content-neutral policy against personal attacks is not facially unconstitutional insofar as it is adopted and employed to serve the legitimate public interest in a limited forum of decorum and order.” The appeals court reasoned that the policy was content-neutral, as people could still present their viewpoints and messages disagreeing with certain policies without resorting to personal attacks. When a government decides to offer a “public comment” period at an open meeting, it provides that citizens may exercise their First Amendment rights. Government officials can limit comments to the relevant subject matter, control disruptive or overly repetitive speakers and impose reasonable time, place and manner restrictions on speech. However, when government officials create a public-comment forum, they have created a limited public forum in which greater free-speech protections apply. 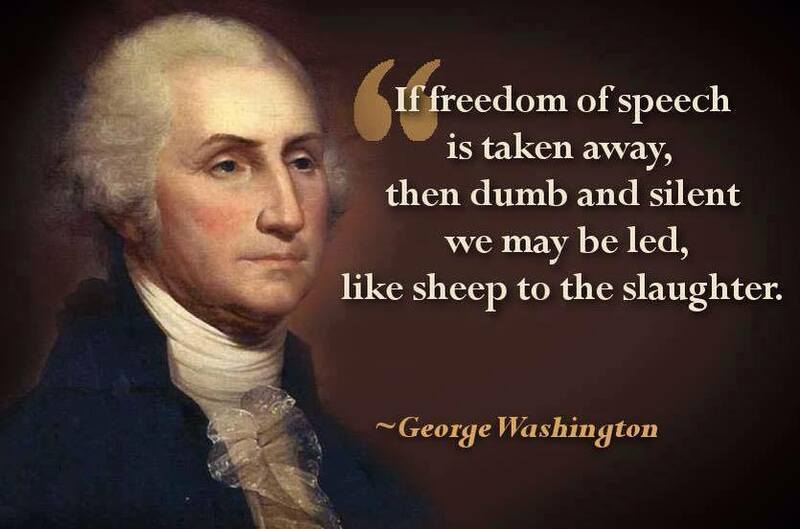 The government may not silence speakers on the basis of their viewpoint or the content of their speech. The government must treat similarly situated speakers similarly. In essence, the government must live up to the values embodied in the First Amendment. Why rethink single family homes?